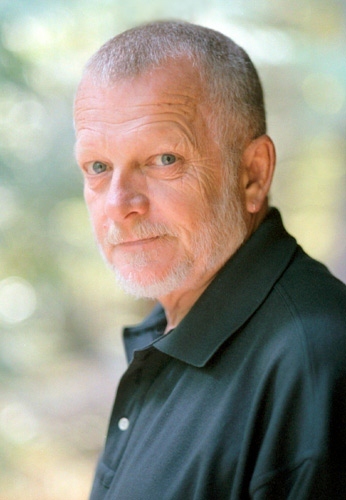 In this special interview, Veronica Golos talks with Sam Hamill about the role of poetry, living reality, and love. I’d like to pull these together – this deep and abiding speaking as a social “prophet,” as one who hears the cries of the world, and a writer of such a love poem, full of absence and grief. How can we actually learn what love is without learning to fully love this earth on which we stand? I think of W.C. Williams writing in The Wedge that “everything is about the war,” and that he as a poet is simply working in a different sector of the field. Every serious poet, consciously or otherwise, is composing his or her own cosmology. Opening the heart to the truth of experience and engaged imagination, one is “given” the poem via his or her Muse and must compose him/herself via deep listening in order to transform the gift of inspiration into the artifact, the experience, of the poetry. Master K’ung reminds us that emotions are, of themselves, neither good nor bad, (we all have them), but what we make of them matters most. I think anger (not rage) can be a motivator to overcome injustice and cruelty. Even the murderers and torturers are human, misguided in their actions and misunderstanding “reality.” And yet murderers and torturers must be brought to justice. I could go on at length about what Williams (and Olson & Creeley & Levertov & Duncan) mean about “field composition,” but that would require a whole essay. Suffice to say that “organic poetry” is a means of opening the heart while upholding the deepest values of our lives. The real value of poetry, to me at least, lies in the ways in which poems—my own and many others’— shape and inform, revolutionizes, my life. My *whole* life. I don’t, for instance, enter contests, the beauty pageants of the poetry community. One of my great masters, Tu Fu, died an unknown poet. Two centuries later he was recognized as one of China’s greatest poets ever. It’s not about recognition or popularity contests. It is simply a way of life… I am given poems to compose and I compose by listening to what speaks to my heart and ear. The voices and melos are a plenitude of wisdom and beauty. As Gary Snyder said long ago, “As a poet, I hold the most archaic values on earth.” Being, the Buddha observed, is agonizing or suffering. Poetry is one of the ten thousand paths to the Buddha; through poetry (as various as that word may be), we may find self-realization and do away with the “I-and-thou” and competitive mind-set that makes war possible (as well as poetry contests) and we come into a world of only “we,” we-are-oneness” in our struggle in this sentient interdependent world. To value life requires valuing the cosmos that makes life possible. How can we actually learn what love is without learning to fully love this earth on which we stand? —The very dirt and stone of it. We must protect it from capitalism just as we must protect those who suffer most from organized oppression. We must love and resist and rebel. 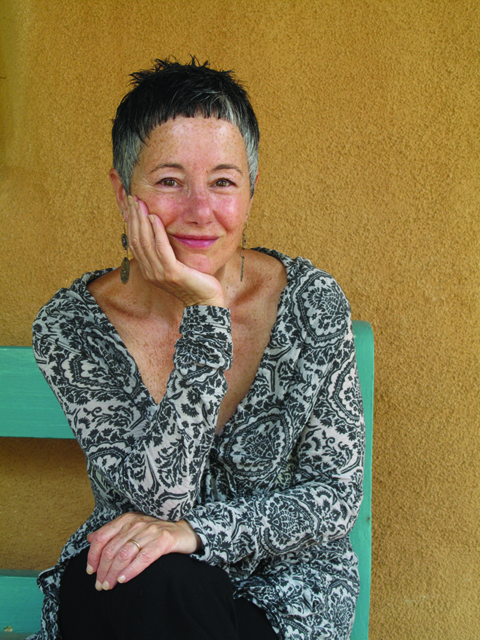 Veronica Golos is the author of two books, Vocabulary of Silence (Red Hen Press, 2011), winner of the 2011 New Mexico Book Award, poems from which are translated into Arabic by poet Nizar Sartawi, and A Bell Buried Deep (Storyline Press, 2004), co-winner of the 16th Annual Nicholas Roerich Poetry Prize, nominated for a Pushcart Prize by Edward Hirsch, and adapted for stage and performed at Claremont School of Theology, Claremont, CA. A Bell Buried Deep is set to be re-issued by Tupelo Press, with an introduction by Patricia Smith, in 2014. 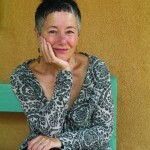 Golos’s poems are included in The Poet’s Craft, Annie Finch, Editor, 2012, University of Michigan Press; Collecting Life: Poets on Objects Known and Imagined, 3: A Taos Press, 2011, and in journals including Spillway, Meridians, Drunken Boat, Orion, Cimarron, Contemporary World Literature, Sin Fronteras, Verso (Paris), Poetry (London), Rattle, World Literature Magazine Spring’s Forum. Translated Poems from Vocabulary of Silence have appeared in over 24 journals and publications throughout the Middle East including (Syria), www.nabee.awatf.com, www.saddana.com, (UAE),www.shenrayar.com/ar, (Iraq) www.Alimbaratur.com (Denmark) and Maqal (Kuwait). Sam Hamill is the author of more than forty books, including fifteen volumes of original poetry (most recently Measured by Stone and Almost Paradise: New & Selected Poems & Translations); four collections of literary essays, including A Poet’s Work and Avocations: On Poetry & Poets; and some of the most distinguished translations of ancient Chinese and Japanese classics of the last half-century. 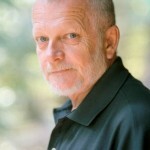 He co-founded, and for thirty-two years was editor at, Copper Canyon Press. He taught in prisons for fourteen years and has worked extensively with battered women and children. An outspoken political pacifist, in 2003, declining an invitation to the White House, he founded Poets Against War, compiling the largest single-theme poetry anthology in history, 30,000 poems by 26,000 poets. He has been awarded fellowships from the National Endowment for the Arts, the Guggenheim Foundation, the Woodrow Wilson Foundation, the Mellon Fund, and the Japan-U.S. Friendship Commission; other honors include the Stanley Lindberg Lifetime Achievement Award for Editing, the Washington Poets’ Association Lifetime Achievement in Poetry Award, two Washington Governor’s Arts Awards, a Western States Book Award, a PEN-Oakland Anti-censorship Award, a PEN Center/USA First Amendment Award, the Charity Randall Award from The Poetry Forum, and the Condecoración de la Universidad de Carabobo in Valencia, Venezuela. His work has been translated into a dozen languages. He lives in Anacortes, Washington. This entry was posted in Advisory Panel Contributors, Daily PAW Post contributor and tagged Advisors, Daily PAW Post, Hamill Interview, Interview, Poets Against the War, Sam Hamill, Sam Hamill Interview, Veronica, Veronica Golos, Vocabulary of Silence. Bookmark the permalink.